Herbsmith Rx Fritillaria Harmonize Lung may assist in the management of cough by treating the root of the problem, a lung disharmony. 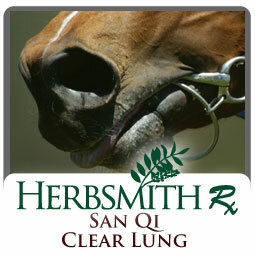 Herbsmith Rx San Qi Clear Lung aids in the treatment of excercise induced pulmonary hemorrhage and nose bleeding. For centuries herbals have offered solutions that support health, not by simply addressing the issues, but by balancing the body's underlying disharmony. The result is better overall health, leading to better quality of life. Now Herbsmith Rx® brings the wisdom and success of these herbs to dogs and cats through a unique line of herbal blends. 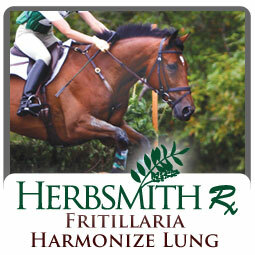 Modified and perfected over two decades of veterinary clinical practice, Herbsmith Rx® blends deliver the results that so many people are looking for.